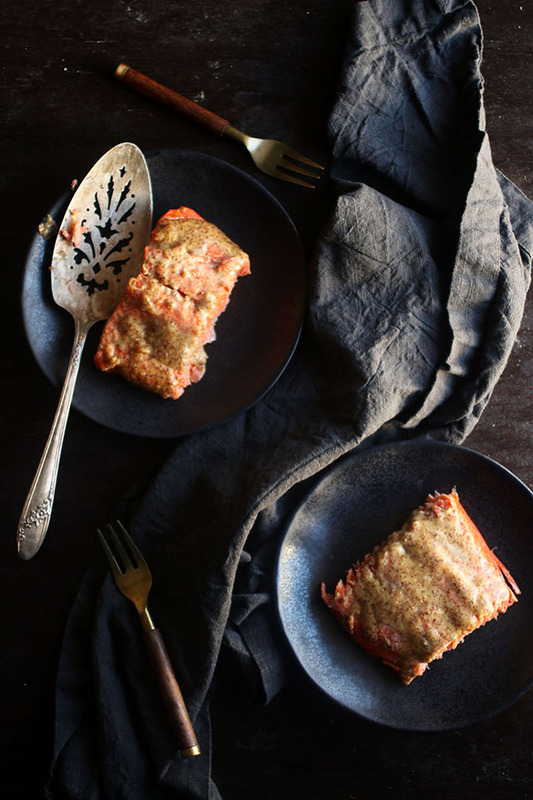 Easy mustard roasted salmon is perfect for busy weeknights – and with only four ingredients! I had to count my ingredients list like fifty times before I posted this recipe. Four ingredients? FOUR INGREDIENTS?!?!?! That can’t be right. But no. I counted. This mustard roasted salmon? It has FOUR INGREDIENTS. Also, this salmon is ready in 20 minutes. Start to finish. 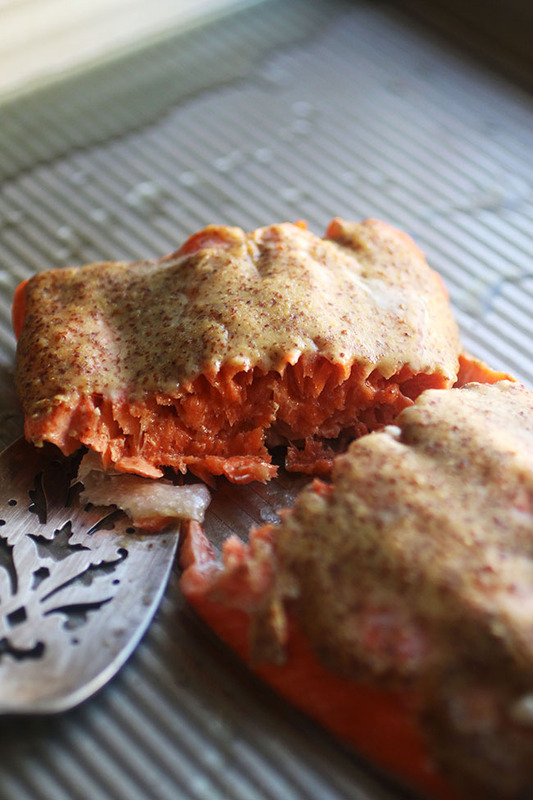 I busted out the verrrrrrrry very last of my summer salmon for this recipe. 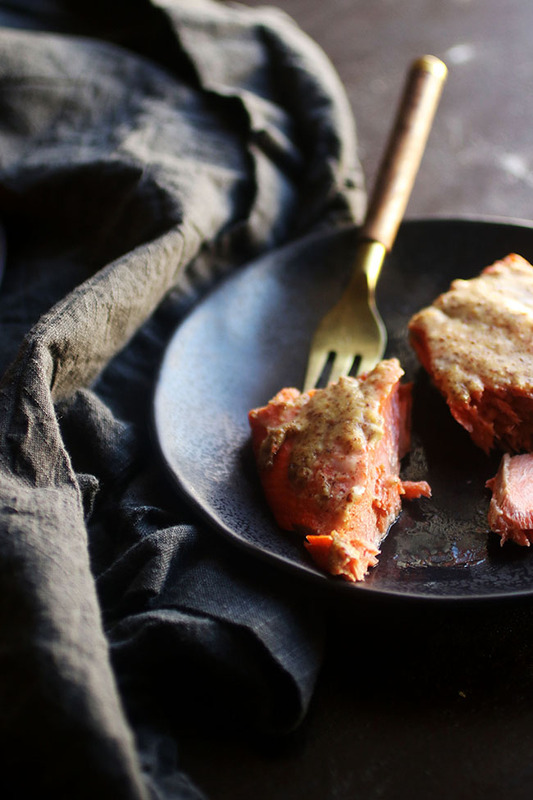 This gorgeous Wild Alaskan Sockeye fillet had been chillin’ in my freezer (GET IT?!) since salmon season ended, just waiting to be used for something special. 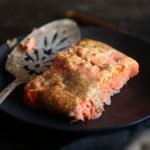 Fortunately, this roasted salmon is ridiculously fast and easy (did I mention there are only FOUR ingredients?? ), so you don’t have to wait long to eat it. 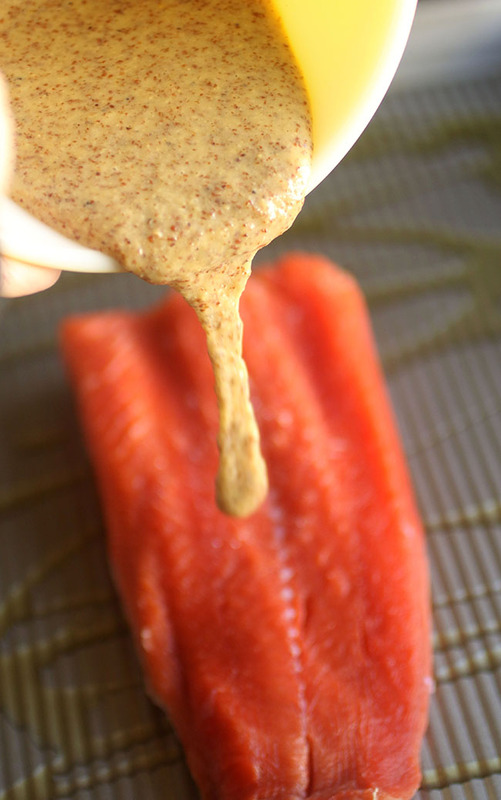 I’m definitely what you might call a “mustard person,” so I love that this recipe lets me slather a big ol’ scoop of dijon on this fish without overwhelming the flavor of the salmon. A bit of pure maple syrup lends some sweetness to the mustard glaze, and just a hint of acidity from the lemon juice brings the whole thing together. Serve this easy mustard roasted salmon with a scoop of rice pilaf (my personal favorite), some tasty mashed potatoes, or a side of veggies for a quick weeknight meal. Although, between you and me, it’s definitely delicious enough for any fancy schmancy dinner party you might be throwing as well. 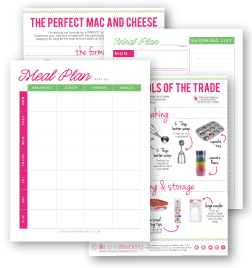 And super speedy dinner party recipes mean there’s more time to drink wine, right? Right. 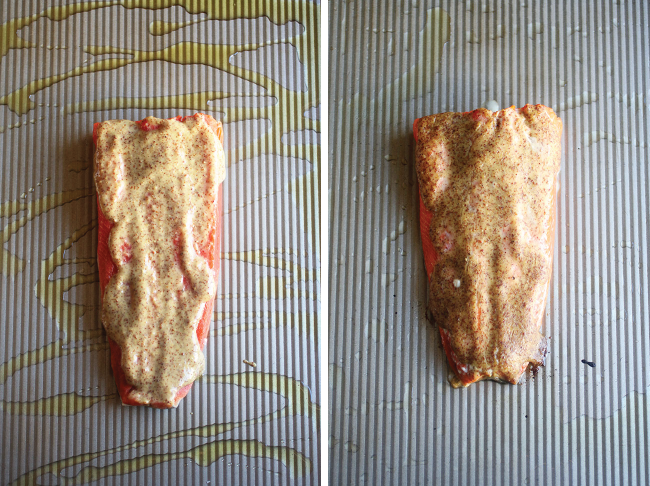 The easiest roasted salmon recipe for busy weeknights. In a small bowl, whisk together dijon mustard, lemon juice, and maple syrup. Give it a taste and add salt and pepper if it’s needed (but I rarely feel like it needs the extra seasoning). Lightly oil a sheet pan (or cover it in a piece of parchment paper or nonstick baking mat) and place salmon fillet on the pan. 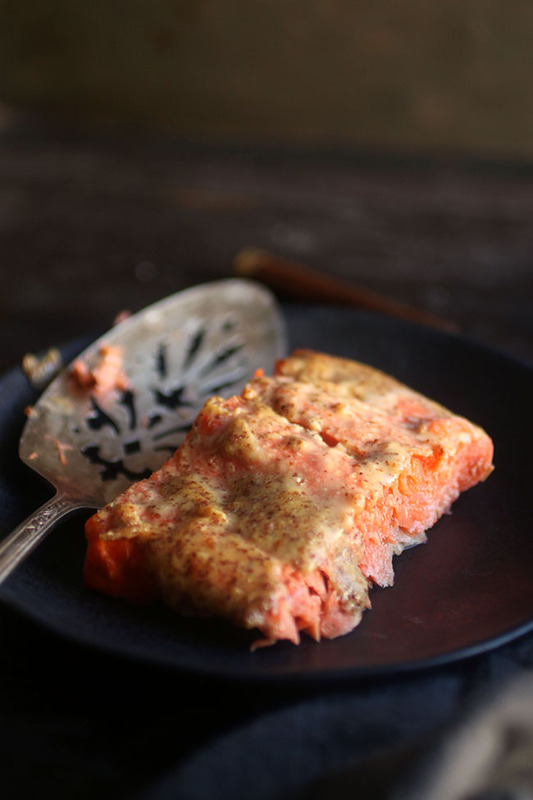 Pour mustard mixture over salmon and use a spoon or a spatula to smooth it out so the mustard covers the entire fillet. Bake salmon at 400 degrees F for 12-15 minutes or until it’s reached your desired level of doneness. We love pairing this salmon with rice pilaf, mashed potatoes, or roasted vegetables. If you don’t have maple syrup, you can use a pinch or two of brown sugar instead. The mixture will be a little bit thicker, but you can always whisk in a splash of olive oil or a bit more lemon juice to thin it out if need be. Leftover salmon is great on top of a simple salad! I love how simple this recipe is and that all of the ingredients are things my tummy can tolerate! I’m definitely bookmarking this page. Thanks, Joyce! Simple recipes are definitely the best – and this is one of our favorites! I hope you enjoy it!